Ireland’s greatest left-handed blues guitarist and his band in blistering form. Recorded live in studio. 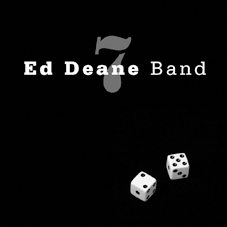 After a 30 year career and a discography that spans over 50 records, Ed Deane released his first solo CD ‘Slideshow’ to critical acclaim back in 2006. Since then he’s been busy performing and recording in his native Dublin with old pals and fellow blues maestros such as James Delaney (keyboards/Sharon Shannon Band/Van Morrison), Fran Byrne (drums/Saw Doctors/Ace) and Eamon Murray (sax/Fattenin’ Frogs for Snakes). This mini-album is both a tasty sampler of the range and style of Ed’s electric blues guitar playing and a long-overdue introduction to his silky, Mose Allison-style vocals.